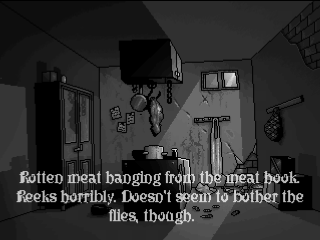 Speculum Mortis is a horror-styled point-and-click adventure. Gameplay consists of wandering around a Victorian age residence which was abandoned years ago, or so it seems at first glance. Left click to examine objects or your surroundings, and right click to interact.